Though the New Hampshire presidential primary is still a year away, the list of candidates running for the 2020 presidential election continues to grow. Our analysts are watching who's been visiting New Hampshire — ground zero for a first-in-the-nation primary showdown — as well as hiring political consultants and forming PACs in preparation for a possible run. Here's a summary of declared and likely presidential candidates hoping for a shot at challenging President Donald Trump. Names in blue link to a full profile with the candidate's experience, position on key issues, fundraising data and more. These candidates have formed exploratory committees that let them fundraise for a presidential run, or they have formally declared they are definitely running for president. To be included in this list a candidate must also have raised at least $500,000 or been featured in at least three national polls. Booker, a first-term Senator, is widely regarded as a rising star in the Democratic Party. His home state of New Jersey recently passed a law that will allow him to simultaneously run for president and re-election to the Senate. On his campaign website, Buttigieg describes himself as "a millennial Mayor, Afghanistan war veteran, and husband." 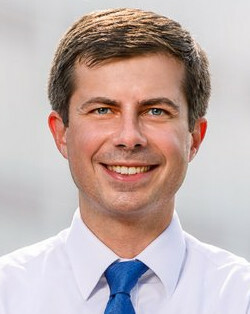 He's also making history as an openly gay candidate for president. 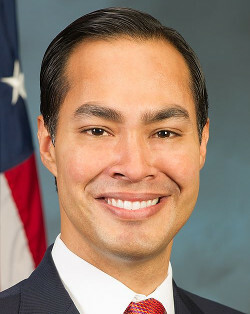 Castro gained national attention after his 2012 speech at the Democratic National Convention. He was also on Hillary Clinton’s shortlist for vice president. 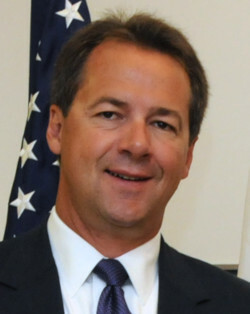 He formed an exploratory committee in 2018, and in January announced his campaign. 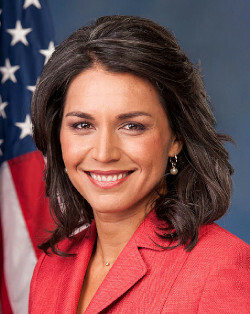 Gabbard gained attention in 2016 after she resigned from the Democratic National Committee over a debate schedule she said favored Hillary Clinton. She was also an early endorser of Bernie Sanders. In January 2019 she said was planning to run and would make a formal announcement in the coming weeks. 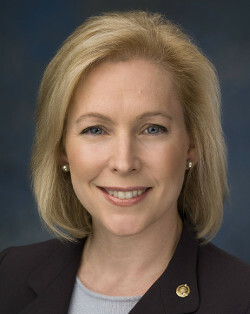 Gillibrand occupies Hillary Clinton's former Senate seat, and she campaigned for Hillary in 2016. However, she also gained a lot of attention for saying Bill Clinton should have resigned during the Monica Lewinsky investigation, so not everyone in the Democratic Party is a Gillibrand fan. She announced a presidential exploratory committee in mid-January. Harris announced her presidential campaign on Martin Luther King Day. She is only the second black woman to serve in the U.S. Senate. She is also the former attorney general of California, a state which is holding an earlier primary this year. Colorado was the first state to legalize marijuana. The state also passed a controversial bill for univeral background checks after tragic mass shootings. 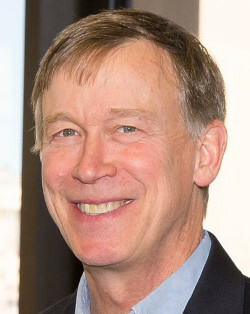 Hickenlooper oversaw the implementation of both laws. 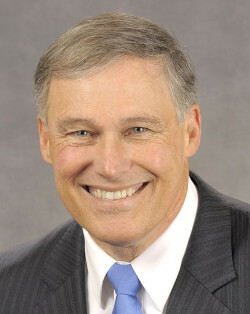 Inslee may be a long shot, but in a crowded field he might make a name for himself as a progressive leader - particularly on climate change policy. Before serving as Washington's governor he served in the U.S. House of Representatives. 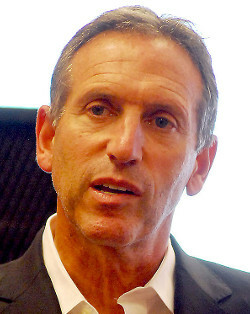 He announced his campaign on March 1. In 2016 the Democrats lost most of the Midwest to Trump – is a Senator from Minnesota the answer to winning it back? Klobuchar announced her presidential campaign in February. 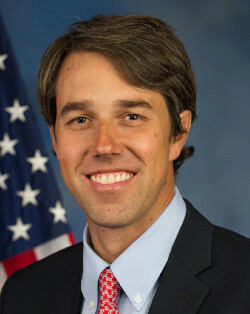 O'Rourke ran a surprisingly close campaign against Sen. Ted Cruz in 2018. He's gained attention for his "devil may care" style, including occassional profanity. 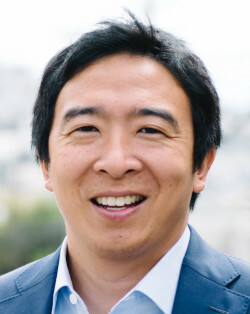 He announced his presidential campaign in March 2019. Ryan gained a national spotlight after he challenged Nancy Pelosi for Speaker of the House. 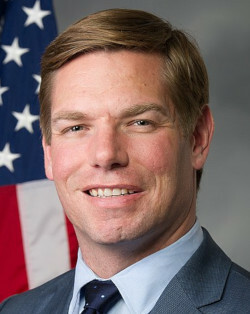 He also has a unique connection to New Hampshire - he got his law degree in the Granite State. Even though Sanders lost the presidential primary in 2016, he has stayed in the spotlight fighting against Trump’s policies and proposing universal health insurance. Sanders enters the 2020 race with the benefit of significant name recognition and a national fundraising network. 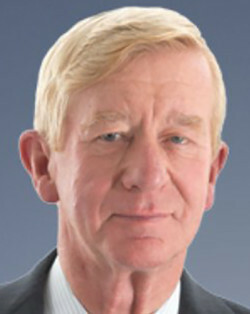 Weld is the former governor of Massachusetts and the 2016 vice presidential nominee for the Libertarian Party. 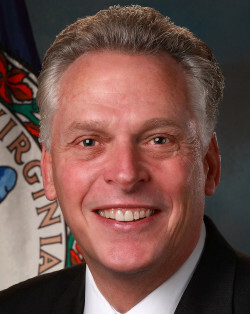 He announced an exploratory committee to challenge Trump in February 2019. 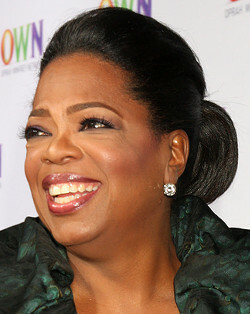 Williamson is often described as the "spiritual guru" and friend of Oprah Winfrey. 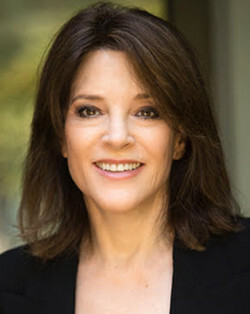 In 2014 she ran for the U.S. House of Representatives as an indepedent, and came in fourth out of fourteen candidates. 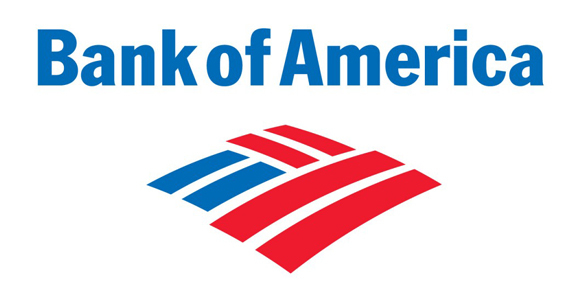 Yang is an entrepreneur who made his name with the nonprofit Venture for America. He is gaining attention for his proposal to give all adults $1,000 in "universal basic income." One lucky family in Goffstown, New Hampshire will receive this income during his campaign. While he may face a primary challenge from Weld, President Trump has a significant advantage over any challenger, Democrat or Republican: a preexisting campaign infrastructure and a war chest larger than any other candidate. These members of Congress have publicly expressed interest, have visited the Granite State, or have taken other steps towards a presidential run. There was a surge in interest in Bennet after he gave a fiery speech on the Senate floor, accusing Sen. Ted Cruz of crying "crocodile tears" for first responders hurt by the government shutdown. 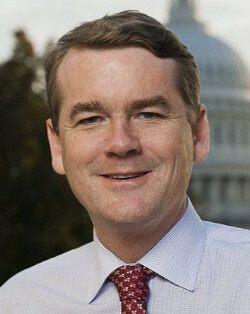 Bennet's speech was particularly surprising because he is generally a moderate senator. Now he's visiting Iowa and New Hampshire and talking about a possible presidential campaign. 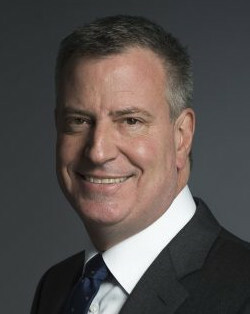 De Blasio has scheduled visits to Iowa and New Hampshire and met with top party officials. Would de Blasio fare better than former New York Mayor Rudy Giuliani? 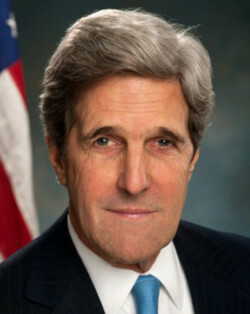 In March he said he would decide on a presidential campaign "sooner than later." Biden declined to run in 2016, due in part to the death of his son in 2015. He’s made no secret that he thinks he could have beat Clinton and Trump, and is openly considering a run in 2020. 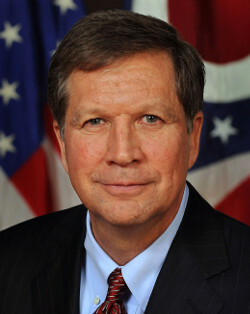 Kasich came in second in the 2016 New Hampshire presidential primary, and there were rumors he would challenge Trump at the Republican National Convention. Many believe that the Republican moderate will mount an independent challenge to Trump in 2020, and he's a vocal critic of Trump. The businessman and “Shark Tank” TV personality says he is actively considering a run for President. He has criticized Donald Trump for everything from his management style to his decision not to disclose his tax returns. 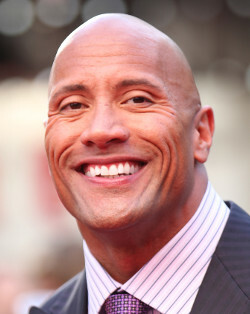 After rumors about Johnson's interest in running for president, a group of citizens formed a PAC named "Run the Rock 2020." While the PAC has no relationship with the actor, Johnson says a campaign isn't out of the question - but probably not in 2020.